In untouched nature, far away from the bustling action on the slopes, snowshoe hikes at Plan de Corones offer a unique winter experience. The deep snow swallows every noise, enhancing the magical tranquillity around you. Clear winter air, wildlife and a fascinating view over snowy meadows will make these hikes a very memorable experience. A vast network of hiking trails – from easy to challenging – runs through the holiday region Plan de Corones. Thrilling ascents followed by stunning round tours are always an amazing activity. A guided tour guarantees a safe experience. At the same time, you can be sure to visit the most beautiful places and enjoy the most spectacular views. 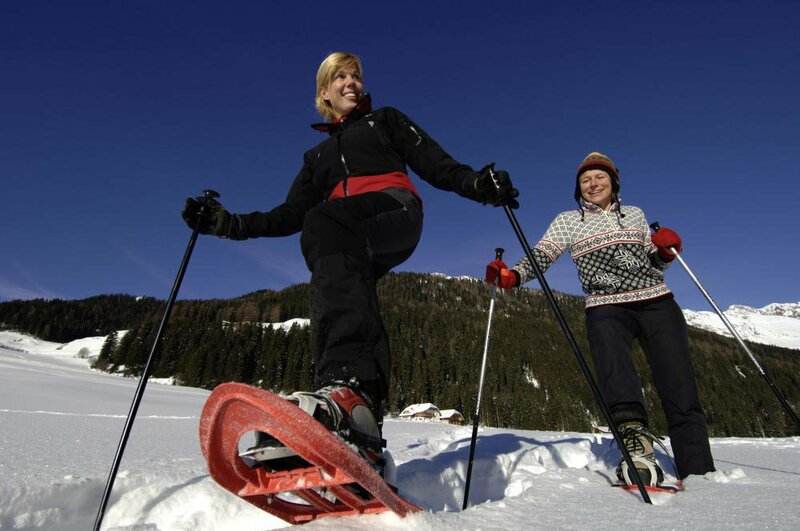 The necessary equipment for snowshoe hikes at Plan de Corones can be rented in almost every town. Another idyllic experience is offered by magical winter walks. Many of the surrounding hiking trails are maintained during the winter, so you can enjoy the snowy landscape even without ski or snowshoes. For example, a beautiful forest path close to our Nature Hotel Edelweiss will lead you up to Lower Pertinger Alp. Here, you will find a rustic alpine farm, which serves delicious South Tyrolean dishes during the high seasons. If you wish, you can race back home on your toboggan. 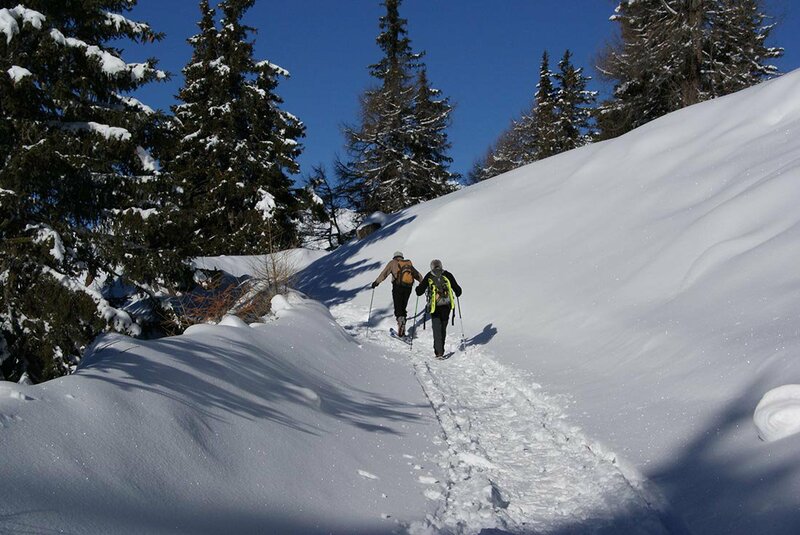 Winter walks and snowshoe hikes at Plan de Corones are truly wonderful experiences, which all nature lovers will enjoy!